When extinguishing the flame, do I have to turn off my oxygen first? You can shut off either gas first, but turning off the oxygen first and the fuel gas are most commonly recommended. Why does my torch and/or tip overheat? An incorrectly adjusted flame is among the most common causes of overheating. If the torch and valves do not have enough gas flowing through them, the flame will lack the velocity necessary to push and burn away from the tip. As a result, the flame recedes and starves into the tip resulting in overheating. Using the appropriate amount of oxygen can also help prevent overheating, as oxygen has a cooling effect on the tip as it passes through the torch and tips. 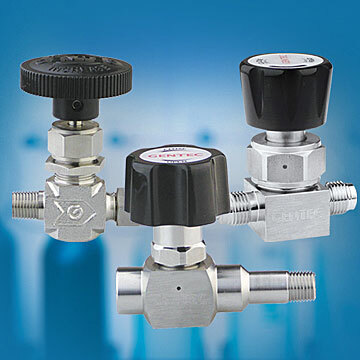 Tools such as flashback arrestors or check valves, while necessary for safety, can restrict the flow of gas and oxygen to the torch and cause overheating. Standard sized flashback arrestors will work well with tips up to a certain size, but a high-flow flashback arrestor should be used with larger tips. Where is the best place to locate add-on flashback arrestors in my system? Because flashbacks often occur in the hose area right behind the torch, the best and safest place to locate an add-on flashback arrestor on the torch handles. When using larger tips with flashback arrestors mounted on the torch, it may be necessary to increase the oxygen pressures 10 to 20 percent to ensure sufficient gas flow. 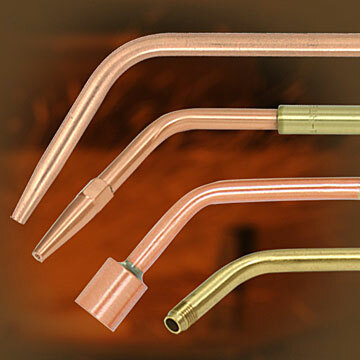 How do I properly adjust the flame on an acetylene cutting tip? When using acetylene, the most common fuel gas, you must first purge the system by opening the fuel valve and allowing it to run for approximately 3 seconds for every 25 feet of hose length. Close the torch fuel valve and purge the oxygen hose by using the same process. Once you have purged the system, you are ready to light the torch. When using a combination style torch with a cutting assembly, keep the torch handle oxygen valve fully open to prevent restricted flow during the cutting process. Next, open the fuel valve slightly and ignite the gas with a friction style lighter. Continue opening the fuel gas valve until there is sufficient gas flow to prevent the tip from starving. Open the fuel valve until the soot, which is discharged from the flame, disappears or until the preheat flames just begin separating from the tip. Next, open the oxygen valve until what are known as acetylene feathers (long white flames) are reduced in length to where they just disappear in the small bright luminous cones, that is a neutral flame. What gas pressures should I use for my tip? Unless you are using an extremely large cutting tip or a heating tip, you can typically set your fuel gas pressure at 10 pounds per square inch (psi) and your oxygen at the required pressure for the tip being used without any problem. With welding and brazing tips, both pressures are typically set the same. A common error is to set cutting oxygen pressures too high, which can lead to turbulence in the cut, increase the amount of slag produced and decrease economy. The best precaution against pressure related problems is to refer to the manufacturer’s cutting guide for specific information on your gas and application, or seek advice from your local welding supply distributor. What type of fuel gas should I use? Choosing a gas depends on a number of variables, including: applications material thickness, material coatings, and the cost or availability of the fuel gas. The best way to determine the best fuel gas for you, in terms of both economics and performance, is to test each gas over a set period of time. Compare the results to see how much work you were able to complete, how much gas you used and the overall cost for the gas at that time before making your decision. If you use different gases for different applications, you can typically use the same torch for each. There are some torches on the market that may require a mixer change to correspond with different gases. Can I use (city) natural gas for my oxy-fuel application? Yes, however, natural gas runs through utility pipes at an extremely low pressure and often will not provide the necessary pressure for cutting. When using a torch for heavy duty applications, you may need to run a separate fuel gas manifold line so that enough gas is forced by pressure to the tip to prevent the flame from starving. An injector style torch may also be used for low-pressure city gas. What size fuel gas tank do I need to run my heating tip safely? The type of fuel gas and the consumption requirements for your specific heating tip will determine the size of tank you need. The typical rule for acetylene is that the tip requirement is one-seventh of the cylinder’s capacity per hour. For example, if your tip requires 20 cu.ft. 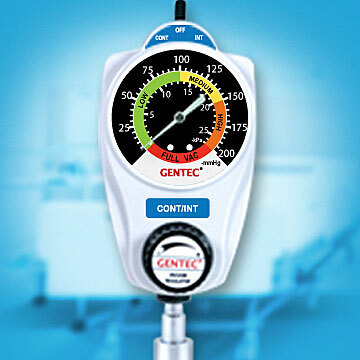 of acetylene gas per hour, then is requires a cylinder with a minimum capacity of 140 cu. Ft ( 20X 7=140). When using alternate fuel (LP) gases you will need to know how much gas a certain LP tank size can produce at a given temperature for the tip being used. Typically LP tanks can produce greater gas volumes and LP gases are not as unstable as acetylene. Temperature has a major effect on gas flow from LP tanks, including Propane, Propylene or Mapp® gas. What is the difference between a check valve and a flashback arrestor? Do I need both? Flashback arrestors are typically constructed with a sintered filter to absorb the flame in the event of a flashback and typically have a reverse flow check valve integrated into them. The check valve is designed to prevent gases from flowing in the wrong direction which could help produce flashback. In the event that a flashback still occurs, the sintered filter on the flashback arrestor is designed to pull the heat energy away from the flame and extinguish it. Because check valves are generally present in flashback arrestors, it is not necessary to install additional devices. In fact, doing so can cause gas flow restrictions that may lead to torch and/or tip overheating, backfires, or even a flashback. What is the difference between an “R” and a “T” grade hose? “R” grade hoses may be used with acetylene gas and it is recommended that “T” grade hoses be used with LP gases such as Propane, Propylene, Mapp® and Natural gas.